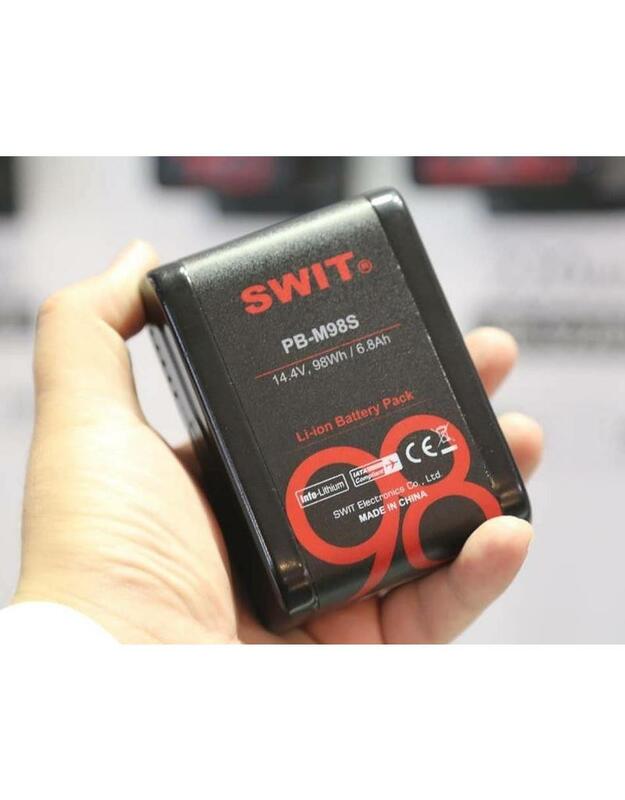 The new SWIT PB-M98S battery is a pocket V-mount with 98WH fly friendly capacity including D-tap out and USB out. 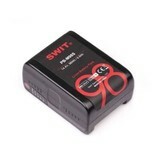 This battery is specifically designed to be compact, durable and convenient. The PB-M98S is the ideal size for monitors, wireless or portable panel lights. 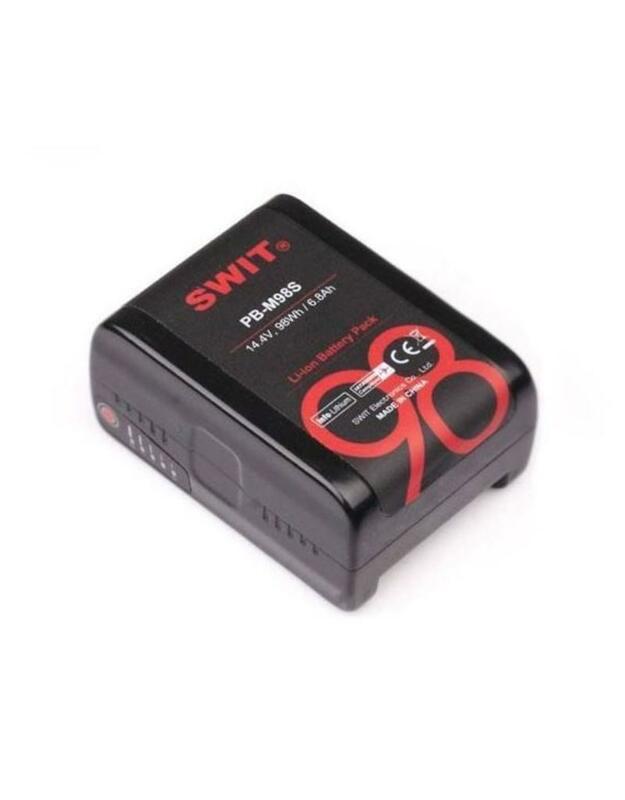 Consists of 12pcs of high class 18650 battery cells, nominal voltage is 14.4V and reaches 98Wh / 6.6Ah at high capacity. 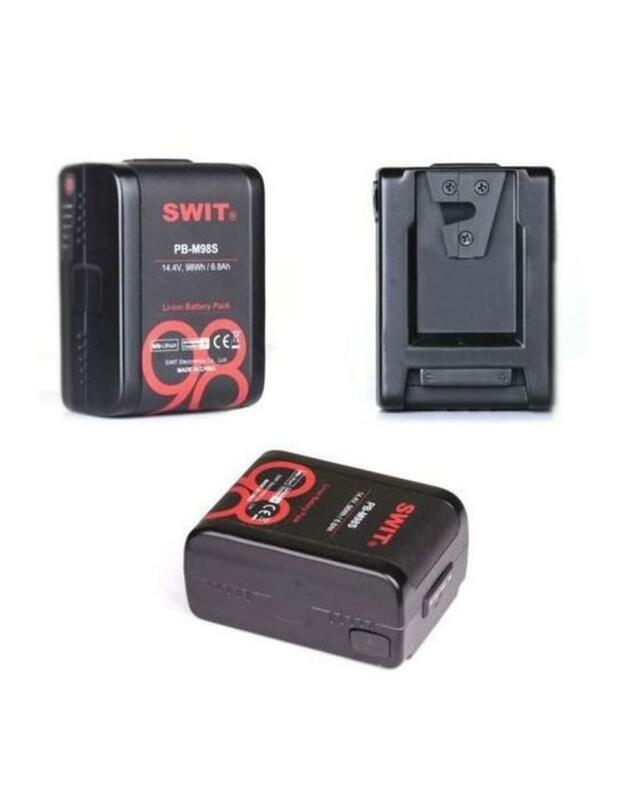 You can also take this battery in carry-on luggage during flights. The pocket size PB-M98S still has D-tap and USB sockets built-in. The D-tap socket share 100W/8A load DC output with the V-mount pins, and support charging input by SWIT PC-U130B2 dual D-tap charger. 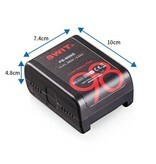 The USB socket outputs 5V/2A for fast smart phone charging. PB-M98S has 5-LEDs to indicate the remaining power percentage. When remaining power is less than 10%, the last LED will flash automatically to remind the user to change the battery. 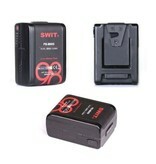 The PB-M98S can be charged by all standard V-mount chargers and D-tap chargers. The max charging current is 3A. PB-M98S can communicate with both SONY and RED cameras and display digital power information on camera viewfinders. PB-M98S has innovative “Wire-Free” internal technology. 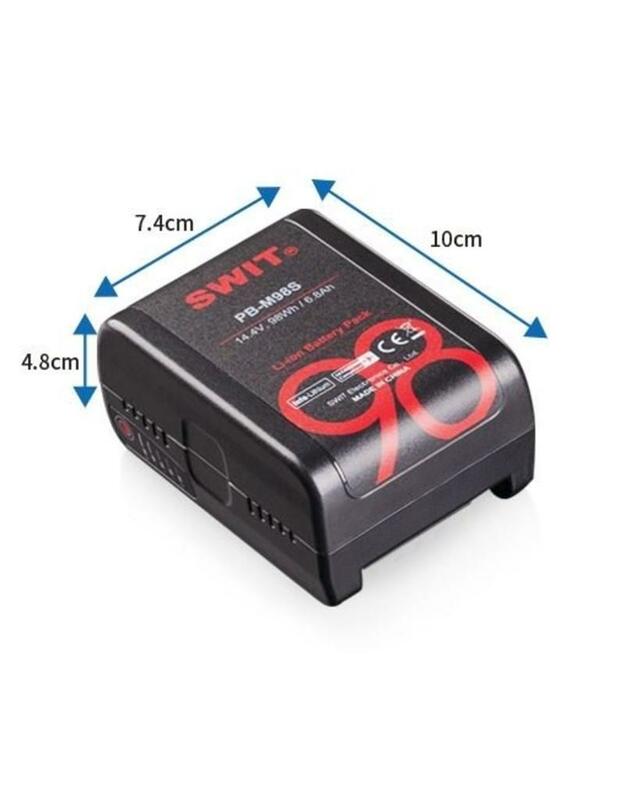 All of the cells, D-tap, USB and power indicator devices are directly soldered onto PCB, with no connecting wires; this reduces internal resistance effectively and ensures the circuit is stable, safe, and reliable.